Tips to Write The BEST & Most Profitable PPC Text Ads This 2017! Before you write your PPC text ads, there is one thing you have to keep in mind and that is, the reason why you want to advertise in the first place. It is not all the time that you write advertisements just for the purpose of driving more traffic or selling a product or service. Everything will depend on what you hope to achieve with your campaign. If your goal is to sell a specific product, you have to make sure that your text ads will encourage this mindset in the potential customers who will click on your ad. But, if you are planning to use your PPC text ads for driving more traffic to your website, then, you have to write a specific copy exactly for that. Take note that you prefer conversion in that instance instead of mere visitors. Writing your text ads for the very first time can be a bit daunting and confusing and you will surely look around to get an idea how others have created their ads. While it is a great way for you to get started and acquire some ideas on what others do with their campaigns, it is never wise to copy every single line they use, word by word. First, see to it that you write your own ads instead of following the other advertisers. You wouldn’t want your ads to sound and look like the rest of the scripts out there. Although you can check by now as to what will work, you would still like your ads to stand out from the rest of the crowd. Never forget to include important keywords in your ads. If you have some special deals on OTG cables, don’t forget to include the words OTG cables. This might seem obvious but there are a lot of times when stranger things happened merely because you overlooked the obvious. If your ad is on accommodation to a certain event, make sure that you mention the event in such a way that the searchers will notice it. Include seasonal events for real time advertisements. Whether it is Christmas, New Year or Valentine’s Day, use these celebrated days by providing holiday specials. Your click through rates or CTR and sales will soar higher if ads are linked to current events. Be cautious when choosing your URL. 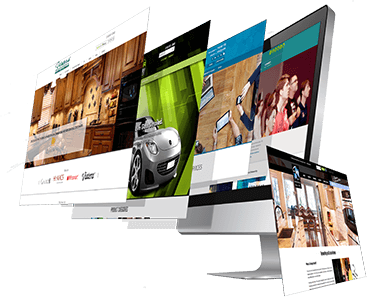 Use recognizable and real website address on the first part and the ending can be a bit different through showing relevance to the product you want to introduce to the market. Capitalization can also do wonders to attract higher click through rates. You can do this with a simple capitalization of the first letter of very word in your URL. This will dramatically boost your traffic, as proven time and time again. Are you ready to kick start your 2017 with profitable PPC text ads? Show Your Support If You Like The Content, Videos & Pictures. Subscribe To Our Channel. FREE Online Tutorials & Valuable SEO Secrets ! View Lots More FREE Online Tutorials Here. Click On The Link. Subscribe To Our Channel.